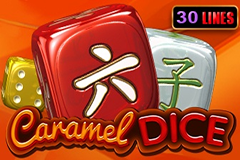 Most casino pokie machines have an obvious connection to their titles, so Caramel Dice by EGT could lead players to think it’s going to be a sweet-related game. They would be wrong however, as apart from a slight caramel shade to the background, there’s nothing linking this game to sugary treats and the symbols are almost entirely made up of colourful dice. But anyone searching for a classic pokie, where all they need to do is sit back, relax and watch steady wins coming in, should take a look at this reliable machine. The symbols are quite detailed for this type of game, with subtle 3D graphics and some nice animations sees winning lines bursting into flames, so despite the simple gameplay, it’s an attractive pokie. Laid out over 5 reels, symbols are in 3 rows and 30 fixed paylines run from left to right across them. Landing matching symbols across a line on adjacent reels starting from the left will create a winning combination, although there’s wild and scatter symbols in the mix to add a little variety to things as the reels spin. Before playing, a bet size will need to be selected, and there’s a minimum of 0.30 to get started, which could be a bit high for cautious gamblers. So free Caramel Dice video pokies can be found at many casinos, letting them try it out before making a real money wager. The high limit is set at 15.00, so it’s not a game for those players looking to win a fortune, although there’s a progressive jackpot round that carries the potential to scoop a big prize. The purple and light blue dice are both worth 2x, 20x or 100x the amount staked per line when landing on 3, 4 or 5 reels, with brown and green dice paying out 4x, 15x or 30x. A dark blue dice returns wins of 6x, 20x or 40x and there’s a gold coloured one that’s valued at 8x, 20x or 50x. Further up the pay scale, we see white dice with the numbers 7, 8 or 9 on them, and the 9 will only need to land on 2 reels to be worth a prize of 5x the line bet, rising to 10x, 40x or 100x for getting 3, 4 or 5 across the reels. A Chinese symbol that dice players may recognise, but looks like a bit of a random squiggle, acts as a wild, substituting for any dice to complete winning combinations. It’s also the second most rewarding symbol when it makes a line on its own, paying out up to 1000x when landing across all 5 reels. Even this is dwarfed by the potential prizes that come from the red scatter dice symbol, which sees wins of 150x paid out when it stops on 3 reels, rising to 600x for 4 of them and the top payout is 6000x for seeing 5 landing across the screen. Like all EGT online casino pokies, there’s a gamble round that has the potential to double a win over and over. Players who get prizes of 1050 coins or less can opt to gamble it and win by correctly picking if a playing card will be revealed as being a red or black suit. The doubled prize can then be collected, or they can go again to double it another time, but of course getting it wrong loses the triggering bet and returns them to the main game. Something else that all EGT pokie have is the Jackpot Cards progressive round. Four jackpots are shown above the reels, each linked to a card suit, and if this round is triggered, which can happen at random after any spin, players are taken to a second screen where 12 face-down cards are on show. By clicking on these in any order, they will reveal the suit and the first 3 matching cards found will see the jackpot linked to it awarded. The jackpots range from the relatively small Club award to the high-paying Spades prize and once triggered, winning one of these is guaranteed. This easy to play nostalgic pokie may have a slightly mis-leading name, but players who like the older format won’t mind this. 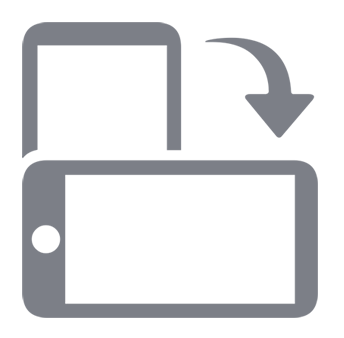 It’s one of the easier online casino games to play, as there’s nothing in the way of bonuses, other than the optional gamble game, and the Jackpot Card round, which won’t actually get triggered that often.